Choosing to install under cabinet lights in your kitchen can improve visibility and make cleanup and other tasks a lot easier. Furthermore, under cabinet lighting can provide an efficient, stylish, and helpful way to light the way late at night in the kitchen when you need a midnight snack or glass of water. There are many options available for homeowners, however, and Electrical Connection would like to help illuminate these choices with today’s post. Puck Lights: Puck lights are small, round individual lights (picture the shape of a hockey puck) wired together. Some puck lights operate on batteries and don’t need to be wired into the home, but professional wiring is recommended for greater convenience. These may be fairly inexpensive and efficient units. Fluorescent strips: Fluorescent strips are common in many homes, but if your older fluorescent under cabinet lighting is flickering or not quite doing the job, you may consider replacement. You can find fluorescent bulbs with a small diameter for a sleek look and greater energy savings. LED Strips: Some homeowners prefer the look of an LED light over a fluorescent light, although they may be a bit more costly. However, fluorescent lights are more energy efficient as they use very little electricity to produce a similar output. Furthermore, LED lights are cool to the touch, so you won’t have to worry about heating up the kitchen or about the safety of little ones in the home. LED Tape: Instead of an LED strip or bar, you may consider LED tape. This type of fixture is thin and flexible, which means you can easily have them installed in under cabinet areas that may have bumps or structures blocking the way. Selecting the right type of under cabinet lighting often depends on visual preference, but an electrician can help you choose the type of light that is most efficient as well. You should always count on a skilled and certified electrician for these types of installation to ensure proper safety procedures are followed. 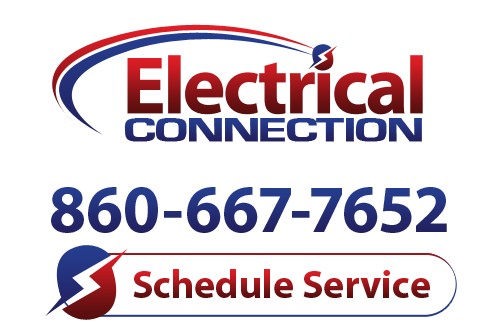 Electrical Connection, Inc. offers many types of services for indoor lighting in Berlin including professional installation and electrical repair. Call us now!